Hubs and I were having a SERIOUS chocolate craving the other day. 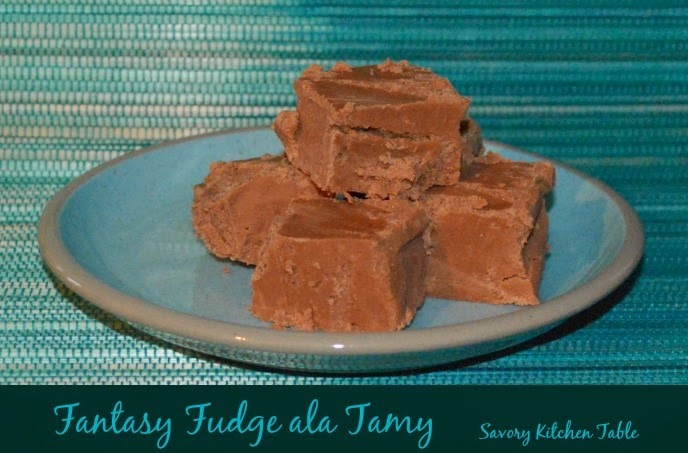 I had the main ingredients for Kraft Fantasy Fudge EXCEPT the chocolate so I had to improvise and pray it would work. Not only did it work, it was FANTASTIC in fact they were just short of orgasmic! LINE a 9-inch square pan with foil, with ends of foil extending over sides. Bring sugar, butter and evaporated milk to full rolling boil in 3-qt. saucepan on medium heat, stirring constantly. Cook 4 minutes or until candy thermometer reaches 234°F, stirring constantly. ADD chopped or melted chocolate and marshmallow creme; stir until melted and well blended. POUR into prepared pan; spread to cover bottom of pan.